A collection of highly imaginative short pieces that speak to our times with deadly accuracy. Vintage Atwood creativity, intelligence, and humor: think Alias Grace. Margaret Atwood turns to short fiction for the first time since her 2006 collection, Moral Disorder, with nine tales of acute psychological insight and turbulent relationships bringing to mind her award-winning 1996 novel, Alias Grace. A recently widowed fantasy writer is guided through a stormy winter evening by the voice of her late husband in 'Alphinland,' the first of three loosely linked stories about the romantic geometries of a group of writers and artists. In 'The Freeze-Dried Bridegroom,' a man who bids on an auctioned storage space has a surprise. In 'Lusus Naturae,' a woman born with a genetic abnormality is mistaken for a vampire. In 'Torching the Dusties,' an elderly lady with Charles Bonnet syndrome comes to terms with the little people she keeps seeing, while a newly formed populist group gathers to burn down her retirement residence. And in 'Stone Mattress,' a long-ago crime is avenged in the Arctic via a 1.9 billion-year-old stromatolite. 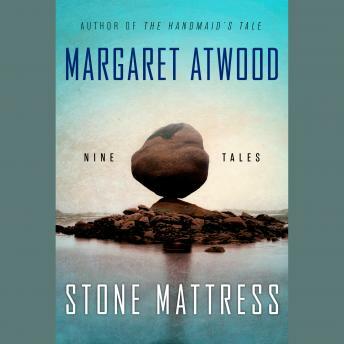 In these nine tales, Margaret Atwood is at the top of her darkly humorous and seriously playful game.